Serious discussion about your financial position now - and in the future. I’m Retiring, I Have My Super, What Can A Financial Planner Do For Me? Good question. When you look beneath the surface of the Account Based Pensions offered by major superannuation funds, the answer is “quite a lot”. The major tool to manage risk is “asset allocation”. This is a simple idea, and it relates to how much you have in safe, low risk investments, such as term deposits, cash and short term Government bonds, compared with how much you have in more volatile (but potentially higher yielding) investments such as shares, and property. Retirement is one of the major lifetime events. Like lots of important events, proper planning is an important key to success. Finance is not the only area, but no doubt it is an important one. So what should you do to prepare your finances for life after retirement? Here are 5 things to get you started. 1. PAY OFF DEBTS BEFORE YOU RETIRE. Often when you go to a financial planner to plan your retirement, they will give you a graph to show how your capital might fare over a period. The process is fairly simple. You start with an amount of capital, it earns interest, dividends and growth over time, and this grows the amount of capital. Deduct the amount you draw to live on, and you are left with a balance. Then, draw a graph of the balance each year, and there is your future capital mapped out. However, this comes with at least 2 serious drawbacks. Most of the principles, ideas and guidelines around how to structure retirement income, have been developed by theoreticians, and are often impractical and out of touch. Now, a financial planner with decades of practical experience, has produced a booklet that looks at the performance of different asset classes over almost 50 years. The main conclusion – there is no “best” answer across all times. It depends. I’m going to stick my neck out just a bit and say that: “Retirees have got a raw deal over the last couple of decades”. Nothing new there you might say. But, what I am referring to is the advice that has been available to retirees when it comes to investing their superannuation to produce an income stream. And, no, this is not another diatribe against financial advisers, as the problem lies much deeper. The video Securing your Future: featuring John Cameron was in the top 10 of the most viewed videos on The West Australian website Monday (12th Sept 2016). "Different decades, different investment returns"
'Securing Your Future' was the most viewed material on The West Australian’s website yesterday. It’s the online version of The West’s financial planning supplement. The West Australian newspaper published a financial planning supplement yesterday 'Securing Your Future' (Monday 22 August 2016). I contributed an article to the supplement and participated in a video for The West's website. You might like to read the articles online - there is some useful material. retirement planning investment strategies financial planning West planning supplement . What you need to know on Sequencing and Retirement Income - John Cameron - The West Australian on August 21, 2016, 6:00 am. Video Presentation & Article: Different decades, different investment returns. Superannuation Changes Are Not Retrospective! 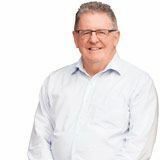 There are many reasons to criticise the superannuation changes announced in the budget (more on that next time), but retrospectivity is not one of them. Why? Because they are not retrospective. Much of the considerable amount of criticism has been around the changes being “retrospective”. However, there is confusion between “retrospectivity” and “grandfathering”. Happy to see The Australian Financial Review printing my letter today....I even got my own Cartoon! But What About The Risk? Are You Growing Or Harvesting Your Investments? How Much Has It Earned? – Beware The Pitfalls When Comparing Investment Returns. Who Spotted The Recent Black Swan Event?